The site was developed to provide a sensory garden for a new Children’s Unit at Hinchingbrooke Hospital, near Huntingdon. 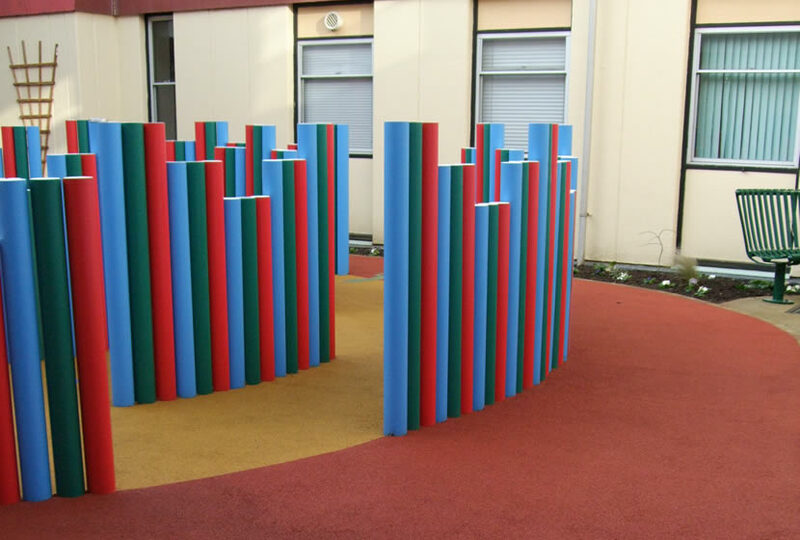 The sensory garden is low maintenance, centred around a spiral of coloured rounded timber posts of varying heights, leading to a centrally located flag pole, providing a vertical feature at the garden’s centre. The garden is designed to be visually engaging. 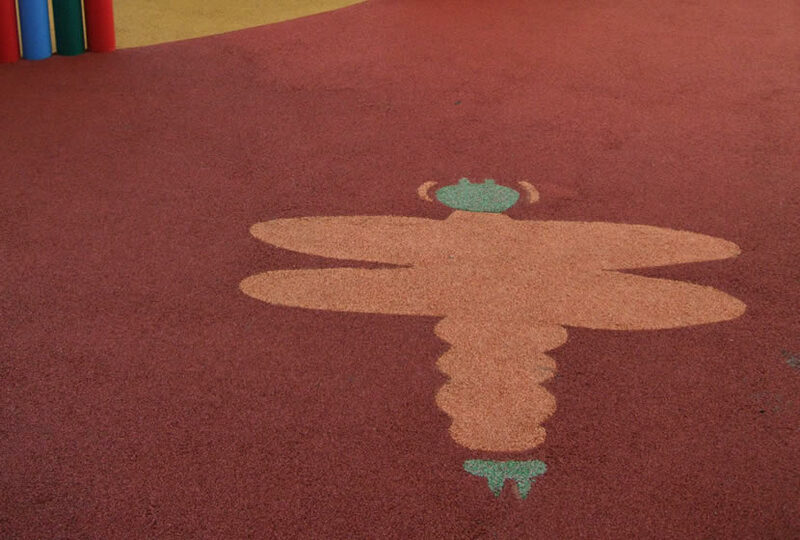 The surface is formed from a colourful rubber safety surface with recycled glass stepping stones & animals, inset to add points of interest and stimulate the imagination. The central spiral feature is surrounded by borders of low maintenance, evergreen shrubs and herbaceous plants, which provide a contrast to the coloured walls that surround the garden. A canopy overhangs from the first floor to one side, providing a covered, sheltered seating area. 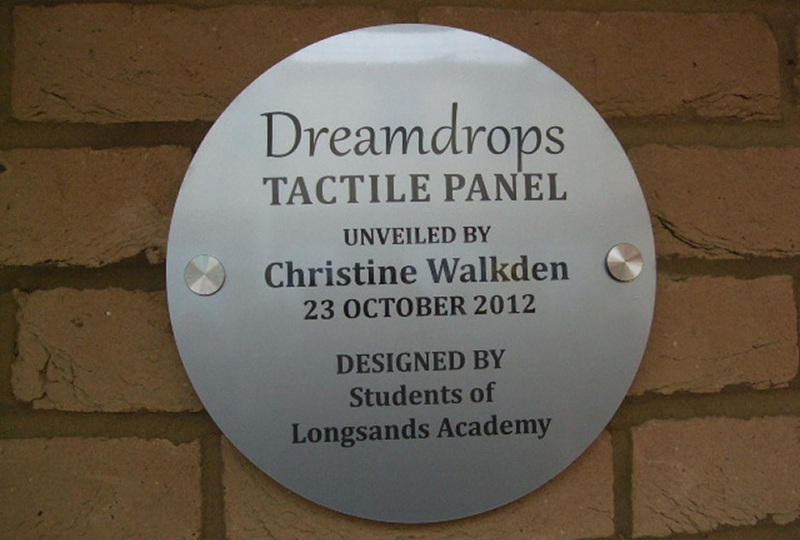 The Garden was opened by Sir John Major & a year later, children from a local school designed the tactile panel in a competition, which was erected under the canopy & opened in 2012 by the BBC One Show garden presenter, Christine Walkden. Across the courtyard, a stainless steel water feature has been located, which enables water to cascade over the surface into a base pool. This area has been designed as a calming ‘garden’ space, allowing for contemplation & solitude, fun & quiet adventure. Lighting has been incorporated around the edges of the paths that demarcate the routes & uplight the planting within the surrounding borders.